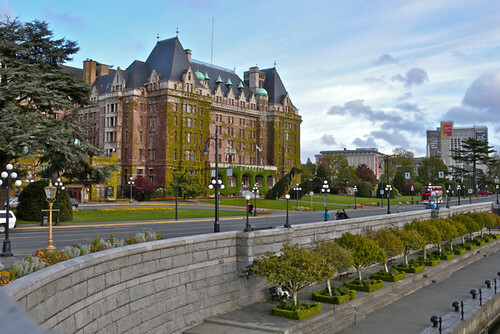 For nearly one hundred years the Fairmont Empress Hotel in Victoria has been a regal monument of elegance and luxury. 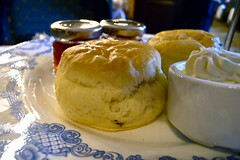 The most popular activity at the historic hotel would have to be its world-famous Afternoon Tea, enjoyed by tourists, locals, globetrotters and celebrities alike. 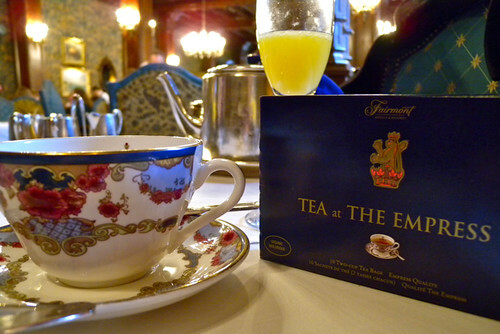 Thanks to an invitation to tea by the Empress on Twitter, Keira and I made our way over to enjoy this legendary experience. Mimosas featuring Sumac Ridge Steller’s Jay Brut were delivered by our smiling server as we took our seats in wooden arm chairs near a majestic fireplace in the Empress Room. A 3-tiered serving tower followed with a layer of sandwiches (mushroom & truffle, egg salad, smoked salmon, carrot) topped with a tier of scones (with English preserves and heavy cream), and crowned with a plate of pastries, cookies, and cakes prepared by Chef D’Oyen Christie. The Empress Blend tea was delicious and one couldn’t help but sit and marvel at the beauty of the room’s architecture and furnishings. 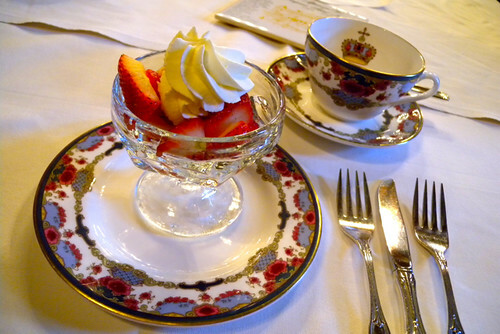 Children sipped from china tea cups, couples indulged in cream-topped strawberries, and families posed for photos after handing cameras to their server. Tones were hushed, the fire crackled, and warmth from the rich fabrics, wood-carved ceilings, and hospitality of the staff surrounded us. 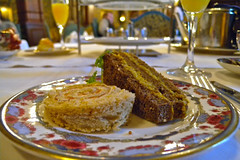 Afternoon Tea is served daily from 12:00pm and reservations are highly recommended. The dress code is “casual elegance” and there’s no need to fear any pretentiousness in this relaxed and comfortable environment. Starting at $44 (and including a box of tea) this has been on many “must do” lists for visitors to Victoria — and now I truly understand why. Follow all posts from our Girls Getaway on Vancouver Island & check out Keira’s post about the Empress on her blog. 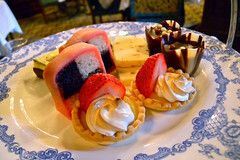 I was recently in Victoria and stayed at the Empress and now I can’t help but wonder how I missed out on Afternoon Tea! 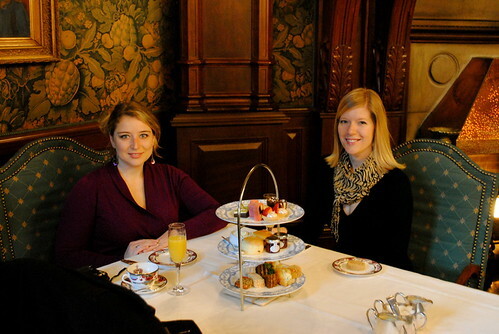 It is one of the things I will have to be sure to do when I return to the Empress in Victoria in March 2011. Thanks for the fabulous photos! Always wanted to do this. I think it will be on the agenda for our next girl’s weekend in Victoria. 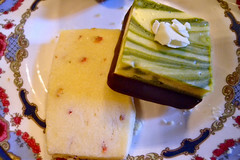 Last time I was over in Victoria, my 4 year old daughter and I did tea, and it was wonderful! I’d always wanted to do it, and my husband just wouldn’t have appreciated it. The Princess tea they do for the little ones was just perfect. Will definitely do it again with her, as we had such a great time. 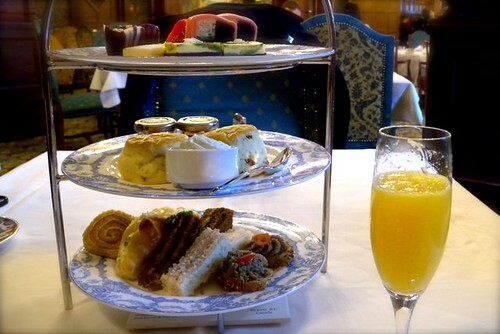 I’ve lived in Victoria for most of my childhood and my whole adult life and I’ve never splurged on tea at the Empress. Might have to do that now! The pastries look divine. That is awesome! A must do for anyone visiting Victoria!